The MiLi Power iPhone Projector version 2 is a pico projector that is great for presenting your movies, YouTube video clips or podcasts on a larger screen. 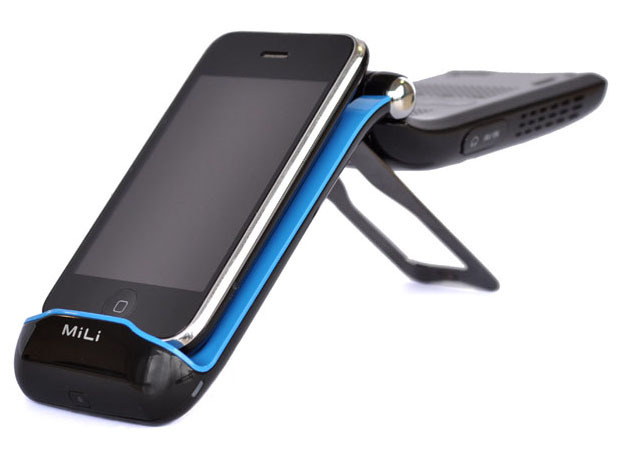 The MiLi iPhone Projector is fully compatible with the iPhone, iPod Touch and iPad. 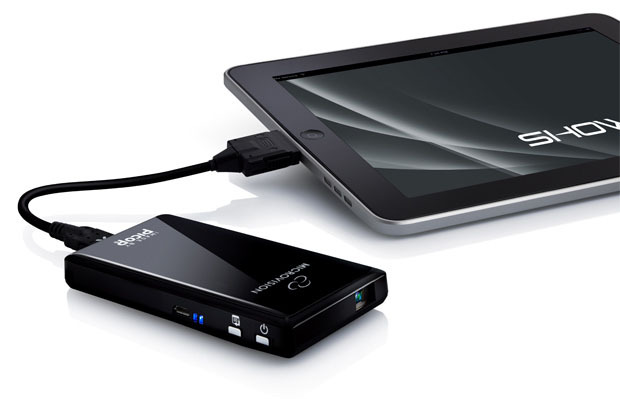 It has a battery life of 2.5 hours and can be connected directly to MAC or PC, and any AC device. MicroVision SHOWWX+ iPad Projector is a laser pocket projector that allows you to enjoy movies, photos, presentations and streaming video up to 100″ in image size. It is about the size of an iPhone. This iPad projector is compatible with iPad, iPhone and iPod Touch.